Design Theory and Computer Science by Subrata Dasgupta. 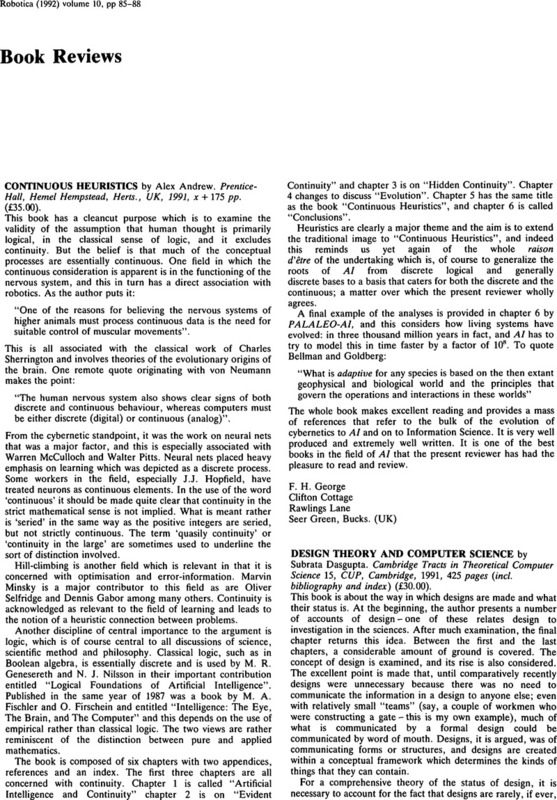 Cambridge Tracts in Theoretical Computer Science 15, CUP, Cambridge, 1991, 425 pages (incl. bibliography and index) (£30.00).